The Samsung Galaxy Tab A 10.1 (2016) is a compelling package. This Tab's vibrant, 10.1inch display makes everything come to life, whether you are catching up on the latest news or watching movies. It incorporates a long lasting battery that offers up to 13 hours of extended Internet usage on a single charge. Powered by a 1.6GHz, Exynos 7870 Quad Core processor, the device unleashes class leading tablet computing performance. The CPU teams up with a 2GB RAM module to give you a seamless multitasking experience. So enjoy surfing the Web while chatting with your friends and streaming an HD video in the background. And because you have the latest Android 6.0 Marshmallow operating system, all your favorite apps, games, and more are right there waiting for you. 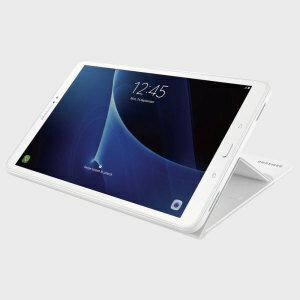 This Samsung tablet 10.1 reviews glorify its great processing prowess that is brought to you by a 1.6GHz, Exynos 7870 Quad Core processor. The 2GB RAM module further enhances this capability and allows you to run various apps simultaneously without taking a toll on system’s responsiveness. The device houses a 7300mAh Li Ion battery that offers up to 13 hours of extended uptime. Available in a black finish, the Samsung Galaxy Tab A 10.1 offers you 16GB of internal storage for saving all your memorable photos, videos, and other personal data. The storage space can be expanded up to 200GB via a microSD card slot. The tablet supports 4G LTE band that transmits and receives data very quickly and doesn’t drop connections. It also includes an S Pen that offers intuitive control. 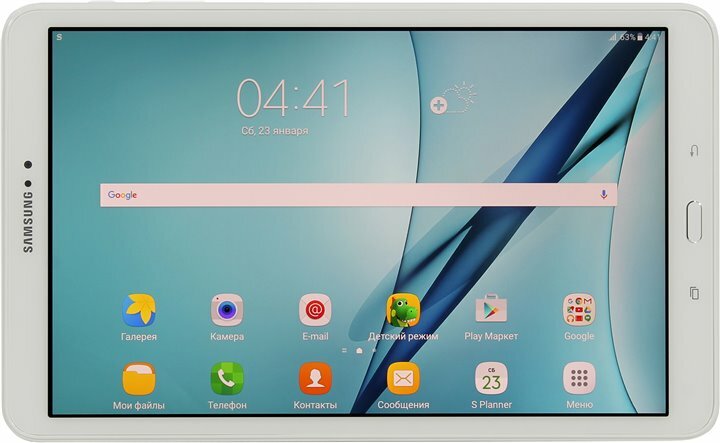 This Samsung tablet has a 16GB internal storage that offers ample space for installing a multitude of apps from Google Play Store. With a microSDTM card, expand your tablet’s memory up to an additional 200GB. That’s enough to store a lifetime of memories or more than 160 movies. 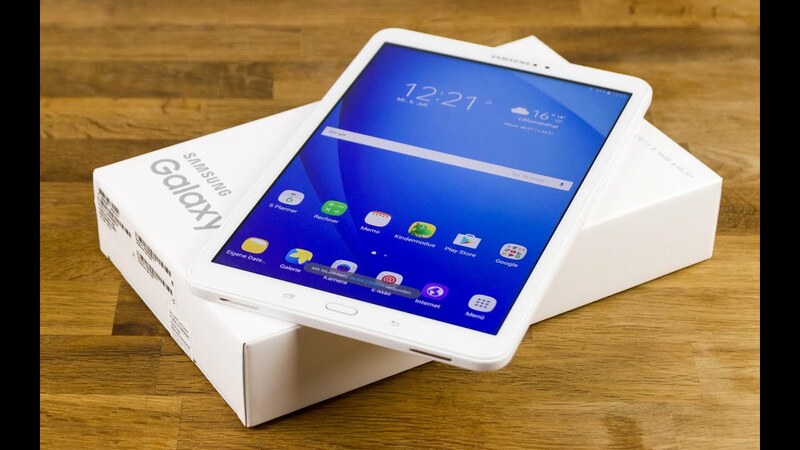 This Samsung tablet comes loaded with advanced hardware and software components that deliver the best user experience. It has an Exynos 7870 chipset that houses an Octa Core processor, which provides excellent processing power to execute commands and run programs. Plus, the 2GB RAM module makes multitasking between two or more apps easy. Add to this, the Mali T830 MP2 graphics processor that comes in handy while playing graphics intensive games, apps or while watching HD videos. Switching to this Samsung tablet 10.1 has never been easier or smarter. You have the freedom to move your music, contacts, and other personal stuff to this Samsung Galaxy Tab 10.1, thanks to the Samsung Smart Switch. Share this Samsung 10.1 tablet with your kids so they can get busy in the educational content you trust from National Geographic, Dreamworks Animation, Sesame Street and more. With the parental control features, you can choose app categories, set limits on their tablet time, and monitor progress. Make the most of your time with advanced multitasking tools that come integrated into this Samsung Galaxy 10.1 tab. Quickly open multiple apps side by side so you can watch your favorite shows while chatting with friends online. Start playing the most demanding gaming titles and check an email in the meantime. Order the Samsung Galaxy Tab A today and have it delivered to your doorstep within 1-3 working days or same day delivery within Nairobi. Payment on delivery.